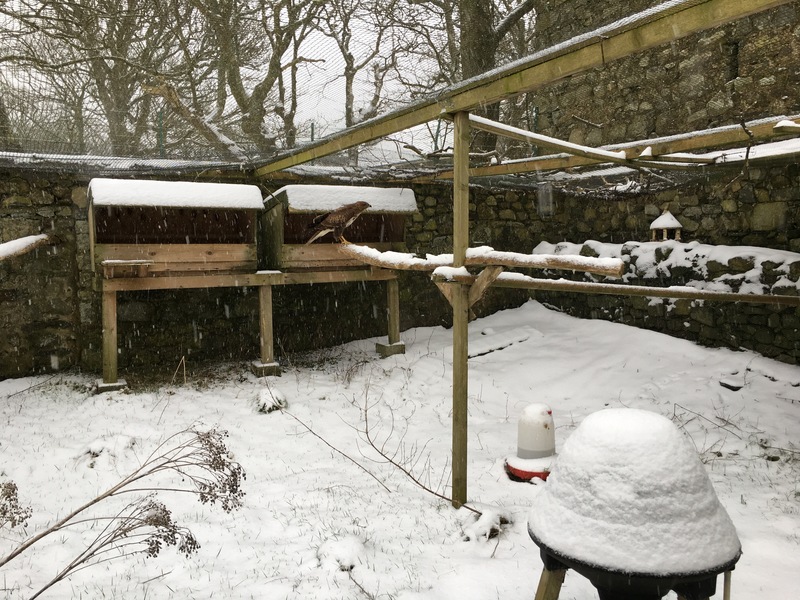 We’ve had some unusually harsh winter weather recently caused by Storm Emma and the Beast from the East. The Pembrokeshire coast was swathed in snow and froze solid for several days. For the human residence it was mostly inconvenient with roads impassable as well as power cuts and frozen pipes for some. 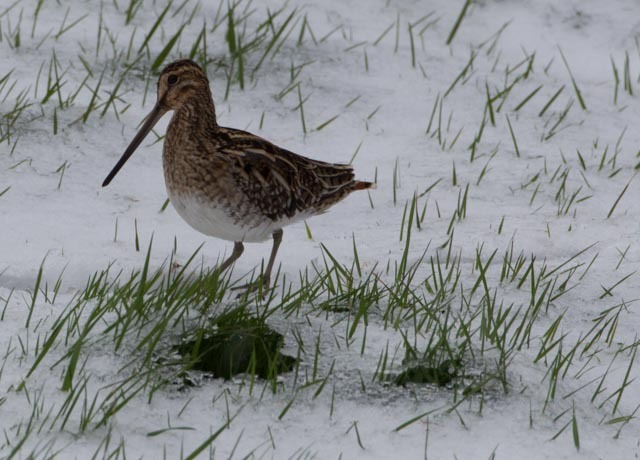 For local bird populations food and water was buried by snow and the ground was frozen solid by sub-zero temperatures. This brought them in to gardens and places they wouldn’t normally be seen. 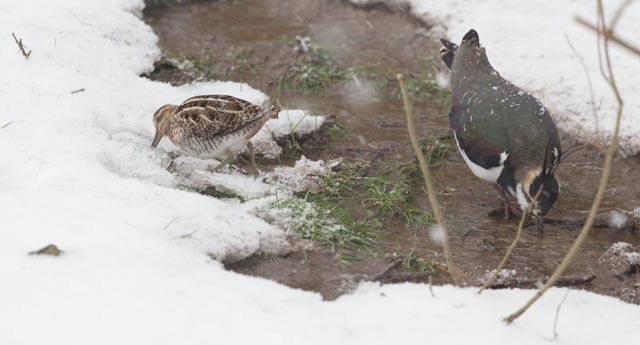 We saw lots of snipe, lapwings and redwings foraging wherever the ground was still soft enough. 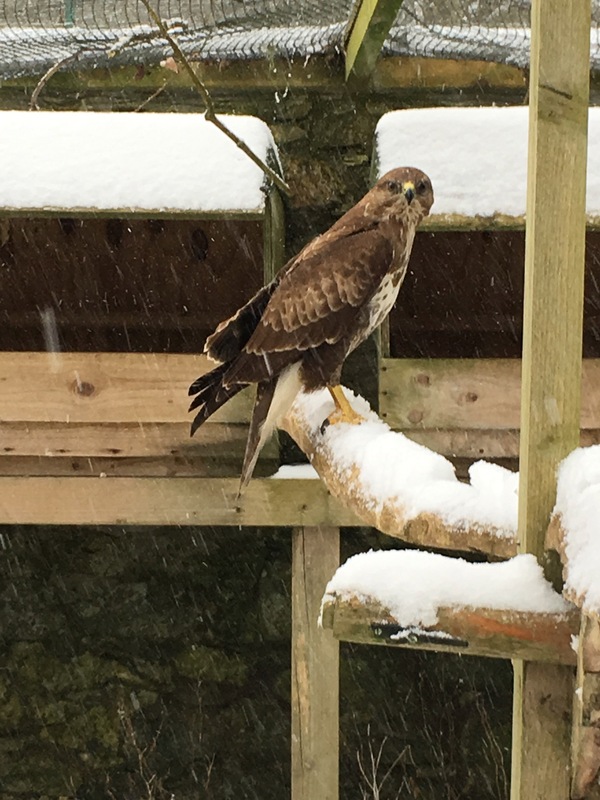 In residence at the Rookwood Bird Hotel currently is a buzzard brought to us a few months ago with a broken wing. We are hopeful that once it moults the wing will regain full function. 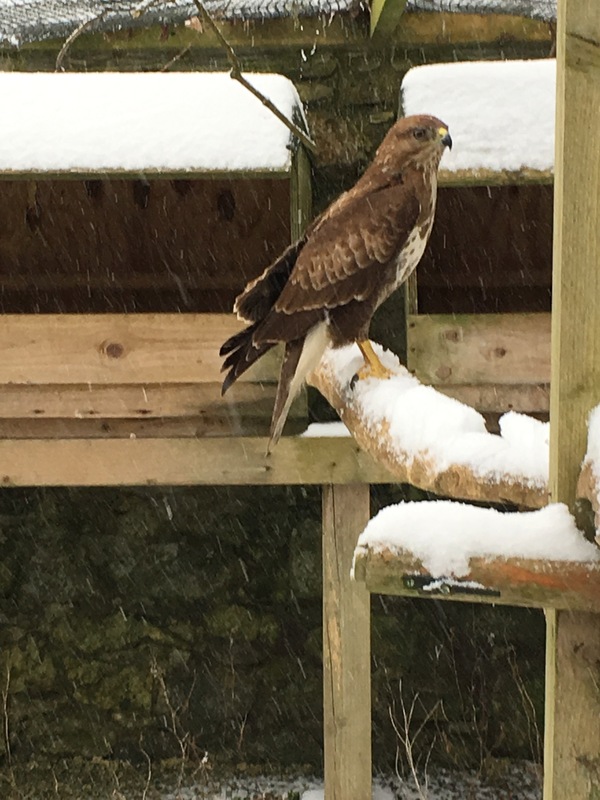 Here he is pictured in the snowy enclosure.